Pleasure, conviviality and travel await you. Iceo promises to make your taste buds travel during a gustatory walk. You are 7 menus 7 countries offered, all are dépaysants, venture attérissant you in this cozy Mediterranean restaurant that will transport you from one country to another. The idea is to stop traveling cheaply. Iceo has an atmosphere rich in colors, mixing modern décor and stained glass windows. 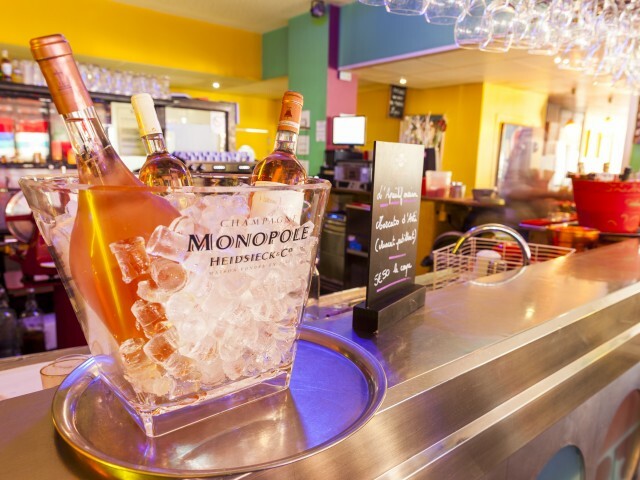 So you can not miss this first Mediterranean restaurant Lyonnais orange facade, situated in the 7th district, Avenue Jean Jaures Metro B stop Place Jean Jaurès. You will be welcomed from Monday to Saturday (Saturday only). Events will take place every Friday and Saturday nights, and a cotton candy offered each evening to the wisest of you. Feel free to join us for a pleasant moment, for this you can book a table in just a few clicks, so do not hesitate!